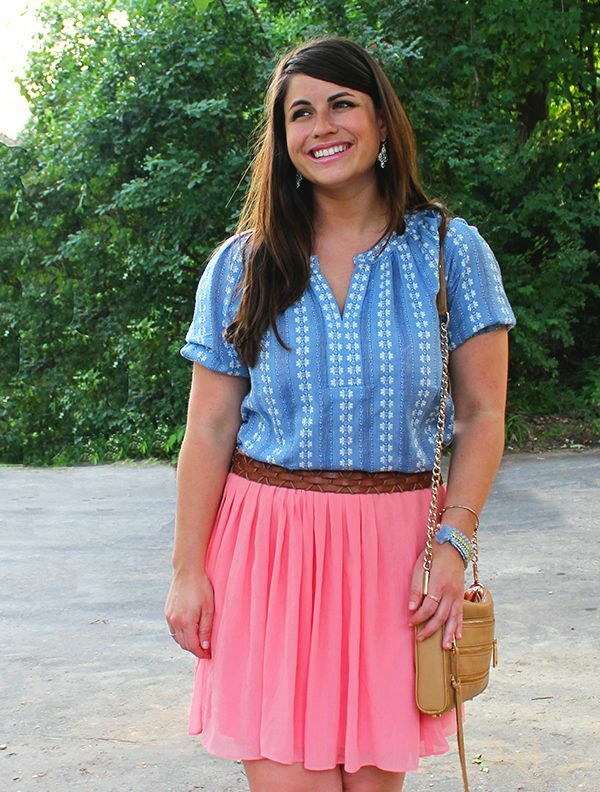 This weekend I did a little bit of spring cleaning and some evaluation of my wardrobe. I recommend doing this at least once a year to fully understand if there are any missing pieces in your closet and what pieces you can donate to simplify or make room for new items to love. I have tons of sundresses- but what I'm really missing are dressy tops. I need more shirts for wearing to work or wearing for date night with jeans and heels. Sometimes I feel like tees are a little too casual and I don't have a ton of blouses or button downs. It's definitely one of those holes in my wardrobe- so, I added it to my shopping list! Thankfully, LOFT was having a huge sale this weekend. 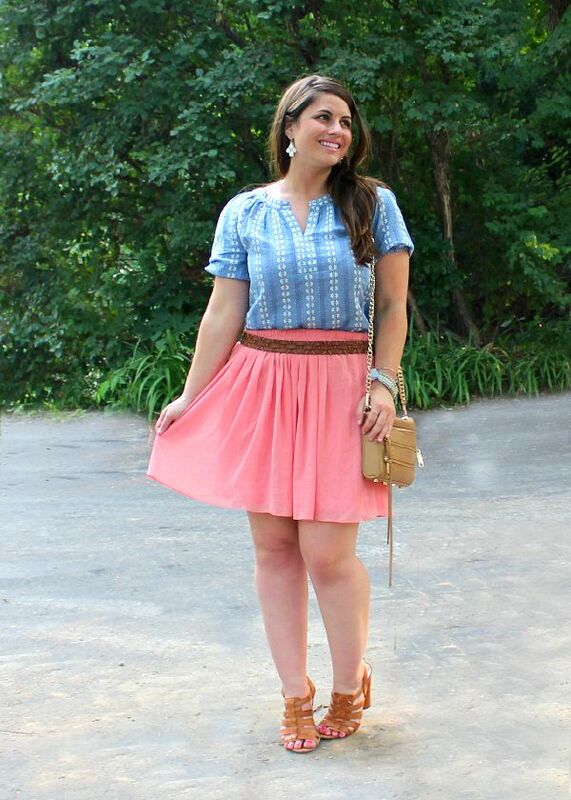 I picked up this chambray blouse along with some others! I love shopping there because they sell petite sizes (short girls for the win)! 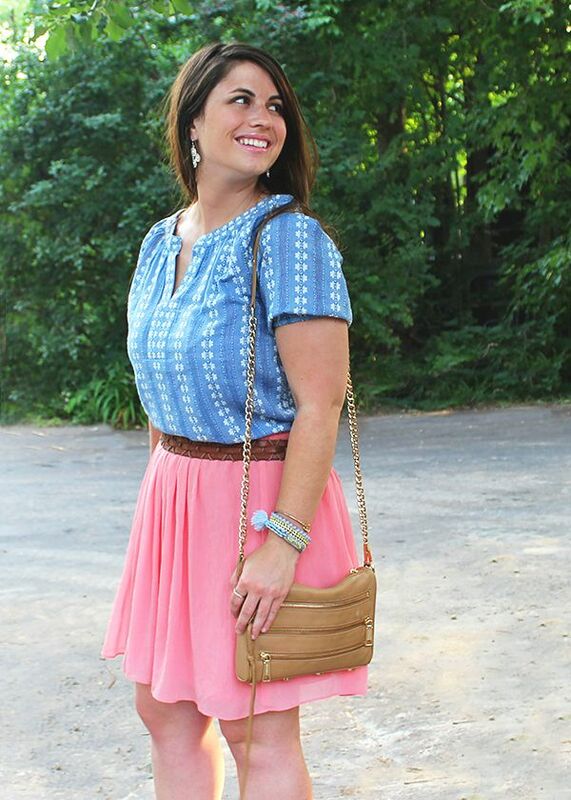 I love the color combo of the salmon pink colored skirt & timeless chambray top. 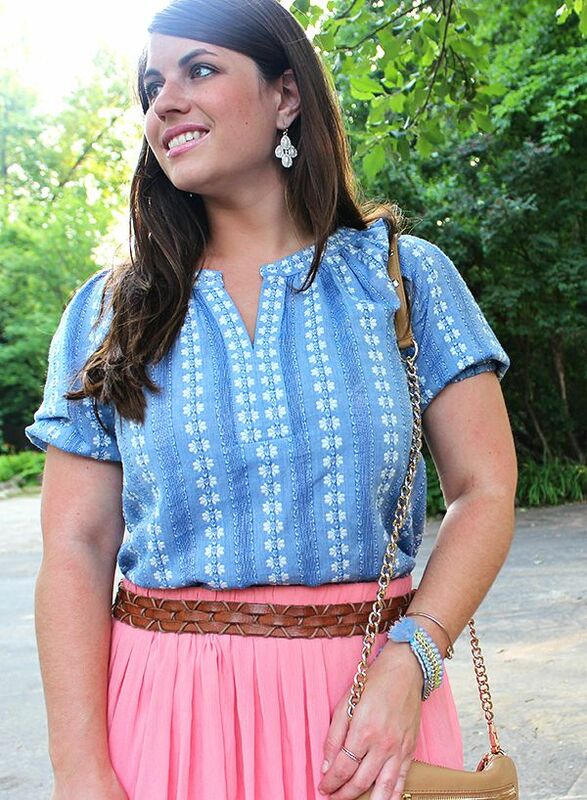 The chambray is super cute paired with colorful bottoms but would also be great as a denim on denim look. The embroidery detail just makes it feel so perfectly summery. This tan Rebecca Minkoff bag has been one of my go-to bags lately, it's so neutral that it matches with everything! Have you scored any great summer deals lately? Do share! That top is amazing!! I absolutely love it, Lauren. 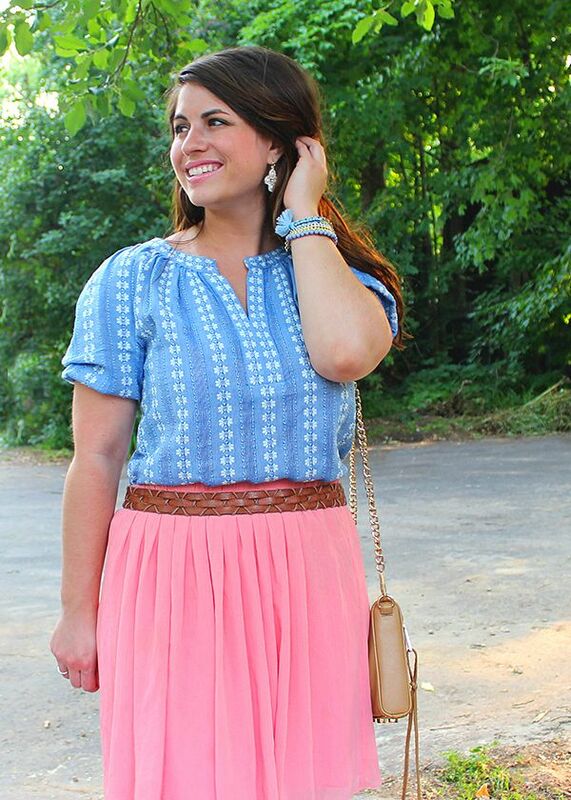 OMG the skirt. The colour is so beautiful.